I got this for my boyfriend for Valentine’s Day and he absolutely loves it! 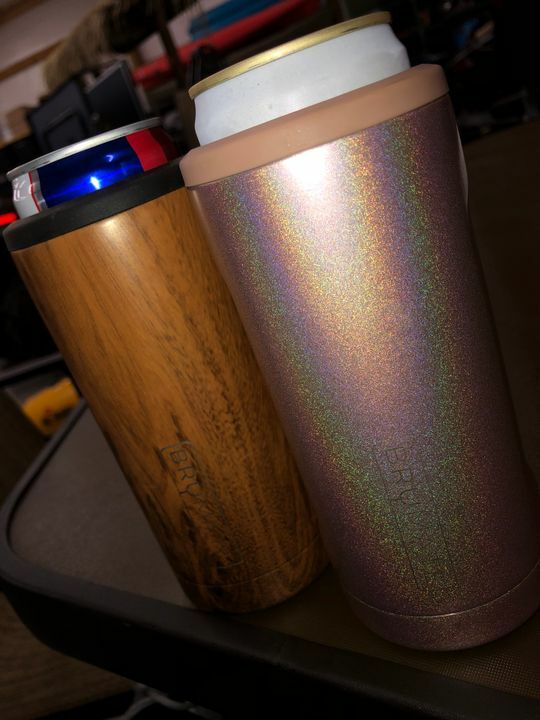 The wood grain look is awesome! Definitely one of my favorites!! 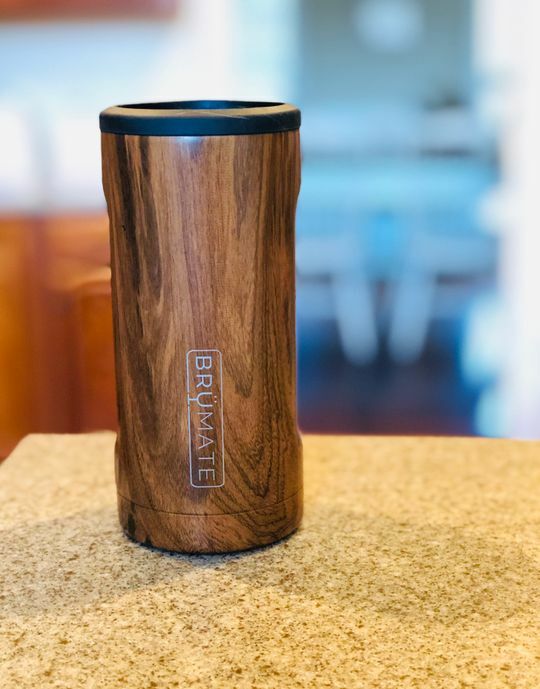 I ordered the Walnut Hopsulator for my fiancee for Christmas. Once I received the package, there was a mistake and I received a different product. I emailed customer service amd not only was it made right, it was the quickest customer service and product replacement I have ever experienced....and YES, my fiancee LOVES his hopsulator!!! I got my husband the matching nos’r. I love the slim and it’s perfect for Ultras in the hot tub! I love that this pattern is unique and original...it’s always a great conversation starter. 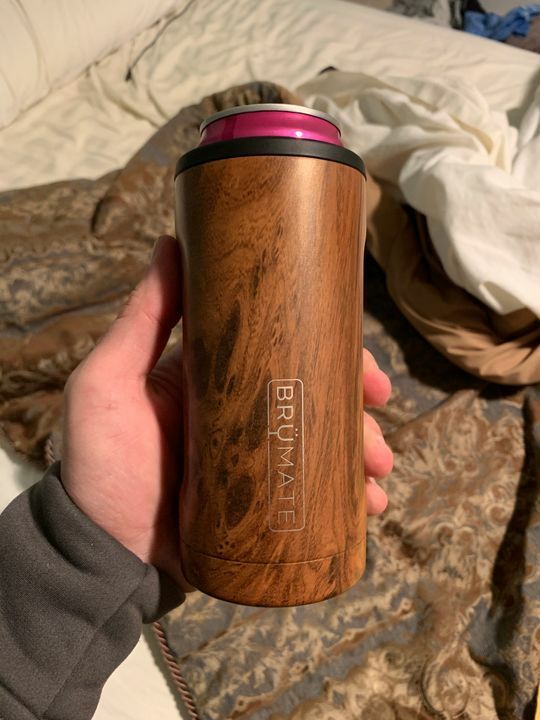 My husband loves the woodgrain and I love that it keeps my hand warm and my drink cold! My Mich Ultra’s fit perfectly in here!! 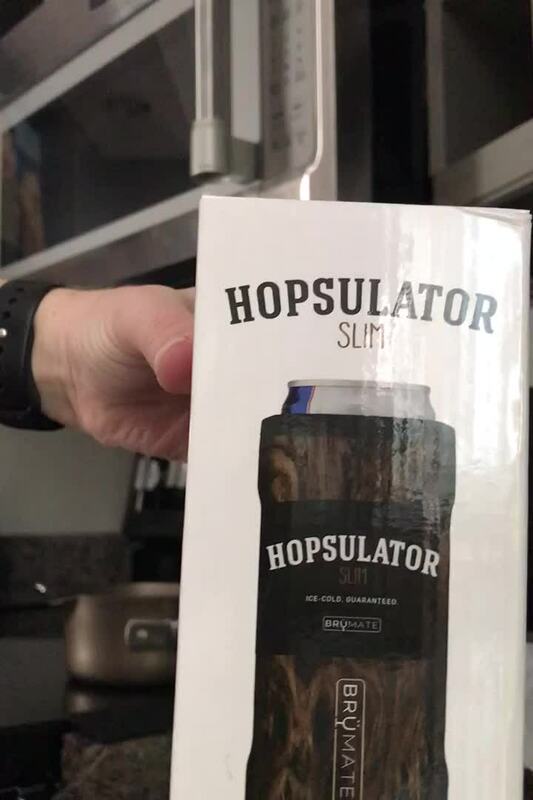 If you are slim beer drinker you have to have this! !